Here are the common questions that pop up when I break this BIG news! During the interview process he found everyone young, nice, open. The offices are brand new and modern and the hierarchical structure is quite flat. This is what suits his style, more than he has seen in Zürich in his field. For the last 15 years he’s been working on Financial markets where it was sometimes hard to see what real value you are creating for people. KBN’s mission is to provide low cost funding to the local Norwegian government sector as well as satisfactory return on investment to the lender. Sounds like a win win situation where you help the development of useful projects for the people around you. KBN is 100% owned by the Kingdom of Norway. Not sure if I can say my husband will be a civil servant, but his working hours are 8am to 4pm with 30 min lunch break. Every overtime has to be taken in lieu up to 12 days a week and no limit if you take hours or half days in lieu. This also counts for overtime performed remotely (from home). This will definitely allow my husband to enjoy again what he loved so much during our time in Zürich: quality time with the children, taking them to school, preparing their “goûter” (afternoon tea box), helping with homework every day… I shared last week how involved a Daddy he is. 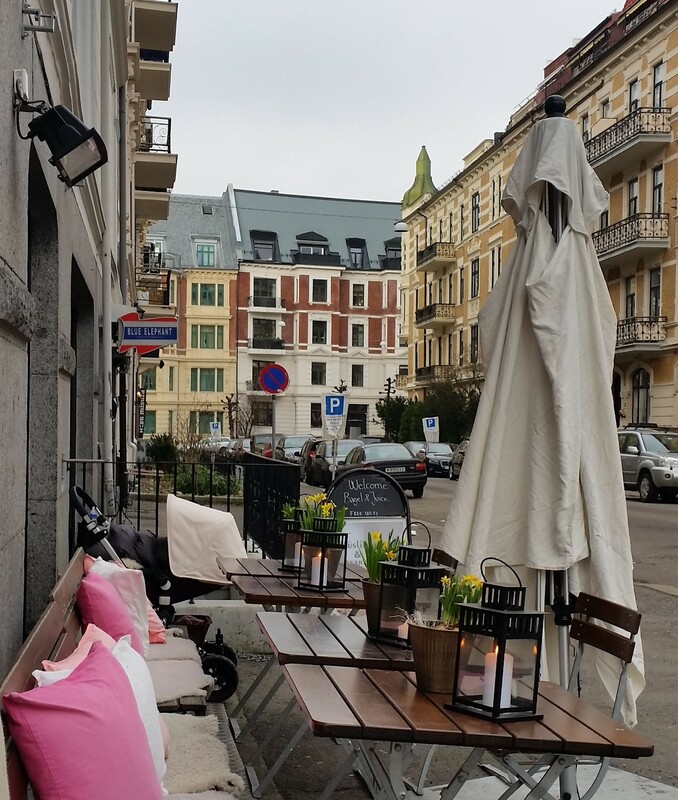 The office is located 10 minutes walk from the posh Uranienborg/ Majorstuen area, the “Paris of Oslo” with its embassies, the French School and pretty Haussmann style buildings. Imagine, you leave work at 4pm and you’re there at 4.10pm to pick up your kids, then exercise, play with them, prepare dinner etc… how convenient! It’s so rare that you don’t have to commute at least 30 min to an hour everyday to go to work. But can we afford to find accommodation there? But we took into account a couple of things and think we can get by, certainly not building up asset but enjoying life much better, spend more time doing what we love doing while the children are still young and appreciate our help and presence. Plenty of time to change our model later when the kids’ needs evolve. Rent: 33,000 CHF (1CHF =1 Euros) a year for a 3 bedroom located 15 min drive from the old city center, 10 min drive from the closest shop but walking distance to the French school with amazing view over the forest. If you get one or two jobs, given that income tax is lower than 20%, it’s fine. That’s excluding groceries and what we love the most: dining out! Zurich is, with Geneva, the most expensive city in the world. Cost of living in Oslo? Rent: 1,800 euros in mortgage monthly repayment (900 if we only repay interests) for a 130 square meter 3 bedroom with all the luxury of a Parisian home: (parquet moulures cheminée) and renovated kitchen and bathrooms. The French School of Oslo, Lycee Rene Cassin is only 6,000 euros for both kids!!! It’s highly subsidised by the local government, yay! Health Insurance: all included in the tax! Okay, you pay over 40% tax (with 10 pts returned to you when you’re a foreigner) but it covers for most of your health costs. So when you do your math: you earn less, you spend less, you get to enjoy most of your day with your loved ones and looking after yourself. Not a bad choice? Some of our closest friends did just that by moving from Paris to the countryside. It’s also a mere 2 hour flight to Paris, so we’v already planned to come back to attend a wedding in September and go to the Madonna concert with my best friends in December! “Winter is coming” or how will you cope with cold and darkness? We agreed with my husband to spend most school holidays in warmer countries like Vietnam in October and probably Dubai again in April (Direct flights from OSlo to Dubai are only 380 euros vs 500 euros from Paris or Zürich). Christmas will still be white. Decorate, as per above, home interiors are well thought through. No wonder why Scandinavian design is so popular. Are you going to work there? By doing what I love the most i.e. meeting, connecting people and building relationships, I started developing a small marketing consultancy business helping French speaking mumtrepreneurs here in Zürich. I can either continue remotely, or start afresh using the same model in Oslo or maybe go back to work in a corporate environment to make sure we have the means to escape the cold weather each school holidays. If you have any contacts, let me know! I’m also keen to keep a good work life balance: holidays with the kids, weekly tennis games and dance classes just like here. 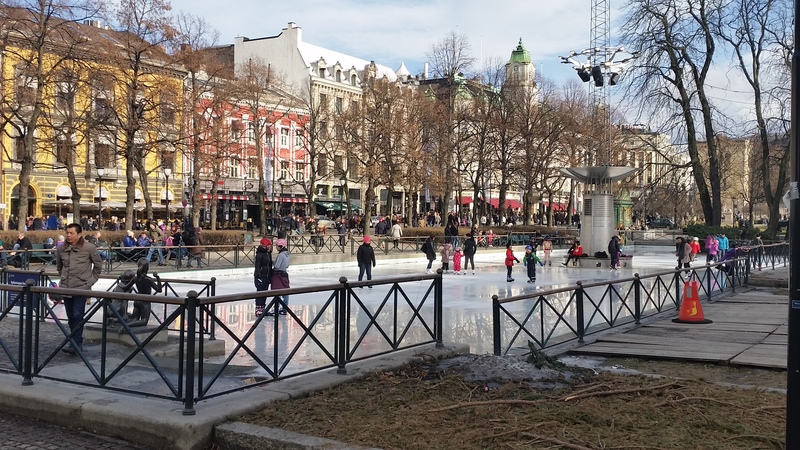 How was your week-end in Oslo? We went with the kids for a short week end in February to see if we would like it. I can’t say I fell in love with the city of Oslo but there were no show stoppers either. It was freezing and raining, so not the best experience. Similarly I didn’t find the architecture amazing except for that Paris like area. However, interiors, starting with the all wooden airport are very clean and peaceful. Our furnished apartment, Frogner House, was very pretty, luxurious and cosy too. They felt much younger than in Switzerland. There are also very connected with free Wifi everywhere and a strong usage of smartphones and apps. When you look at various reports and ranking (OECD, World Happiness Report etc…), Norway ranks between #2 and #4 behind Switzerland this year in terms of life satisfaction and happiness. My husband’s experience so far is that he find people happy with what they’ve got, easy going and direct just like Aussies. We were happy to find a TGI Fridays. Reminded my husband of his two years in Japan and me of my 3 months in Taiwan. There are none in Australia, France or Switzerland. 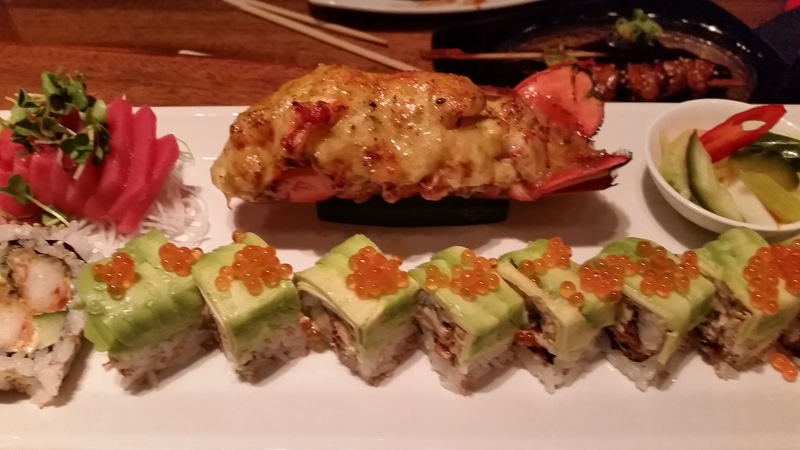 We also got to try Alex Sushi, the best sushi in town as it was 2 blocks from our accommodation. It was divine with a whole degustation menu including truffle, lobster and scampi, sake, soft shell crab for the price of a Sushi train in Zurich! There’s also a big Vietnamese community so Pho will be easy to find. That’s the most important isn’t it? We are finishing the school year here. We also have some international visitors in July so hopefully we’ll all be reunited in August, we hope in our new home! That means you need to come and visit before then, otherwise it will be Oslo! That also means we need to find new tenants for our current apartment as we want to do the right thing by our landlords who are really nice. Here are the pics and details about our 3 bedroom apartment in Zürich. What are your thoughts about living and parenting in Oslo? Would you cut your income by 4 for a better life style and a bit of adventure? Hey Christine. Not far but very different. Massive change, big adventure for sure! Would I cut my income by four…? If the maths worked out, yes for sure! Congratulations, go for it! Although Denmark would be preferred, I think Norway is not too far behind. They have the same/similar benefits and a much better balance with work and family life. It’s the happiness part of the world not to mention safest! I think once you are settled and gotten yourself into a nice routine, you will enjoy life! What you guys are doing is what I would LOVE to do one day. So hopefully in not too distant future, I will be asking you for advice or knocking on your door (arriving from DK of course). Good to hear! It will be so much easier for you as you speak the language. I hope it will be soooon! I like your “give it a go”attitude, very Aussie indeed. All the best in Oslo, it looks like a very exciting place. we will certainly miss you here in Zürich. I think it’s going to be a great move! And it feels you will have a good time there. Je suis un francais vivant ici et la norvege est d’un ennui a mourir.. passé les premiers mois de dépaysement on se rend vite compte qu’il y a rien. Les gens sont froid et ont l’esprit trés fermé, ils ont pas vraiment envie d’avoir des amis expat, ca reste entre norvégien, le pays est froid, l’hiver est mort, -25 /-20 dans la nuit noire pendant 4 mois et l’été on ne peut pas dormir a cause du soleil la nuit. Oslo est une ville morte, personne ne sort, les gens s’en foutent de sortir dans les bars ils veulent juste aller courir dans les bois et faire des marathons. Niveau connection au monde, bien sur le pays est en retard, pas de cinema IMAX, tout les films sortent en retard ici, voir meme 1an aprés la sortie mondiale pour certain! si vous attendez la commercialisation d’un appareil compter toujours du retard pour la norvege. Trés peu d’event, l’impossibilité d’importer quoique ce soit sans payer des taxes de malade, presque aucune connection aérienne avec le reste du monde (uniquement en europe) etc..
Mais bon j’imagine qu’avoir une famille et des gosses, change la vision des choses. Wow! J’en déduis que vous n’avez pas trouvé la norvégienne de vos rêves ;)… dur dur! Oui il paraît que c’est chouette pour les familles et puis je me prépare à évoluer plutôt parmi les internationaux que les locaux. C’est un peu partout pareil, un provincial ne se fait pas énormément d’amis parisiens quand il arrive (après les etudes). Pour les vols internationaux j’ai vu que le Oslo Dubai est à 380 euros contre 500 pour Paris Dubai! Je vous souhaite de trouver une destination qui vous rende plus heureux! Merci pour votre commentaire! Very nice post and well written. I think you are spot on with the objective and financial evaluation of Norway, except going out for meals when you have small children becomes a luxury when you have to add the cost of a baby-sitter and taxi – everything is expensive here! I have a niece a the French school and she has been very happy there. My advice is keep this very positive attitude and it’s good that you have written down your plan because you will need it. Norway is amazing for all the reasons you mention, but unfortunately it is not very open to foreigners or very cosmopolitan. I am fluent in Norwegian and I am not sure if that really has helped me that much. 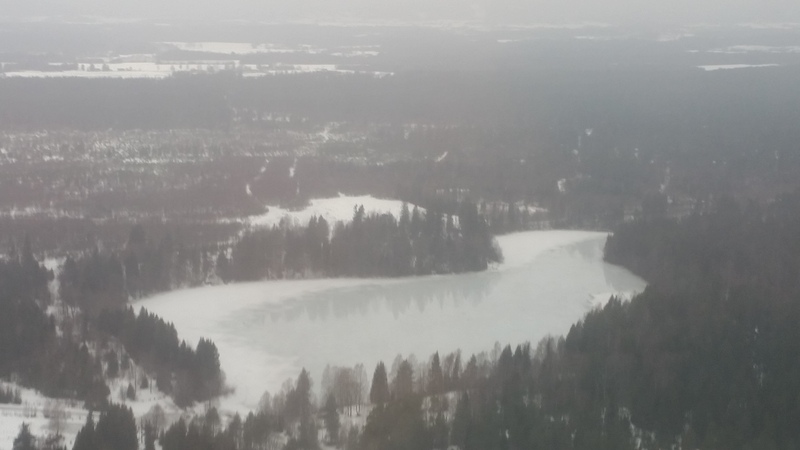 Keep hold of your international life and plan escapes – I think that is the key to a balanced life in Norway. Don’t worry or focus intensely on meeting locals or having Norwegian friends as this may lead to disappointment. Meet with positive expats and build a social life around your international circuit. See as much as you can of Norway in the summer months as it really is beautiful 🙂 Adapt to taking picnics with you instead of keeping up a cafe visit culture and you will save a lot of money. Invest in a small boat to get out on the fjord – you will never regret this. After work people go out on the fjord and take their dinner with them or have a BBQ on one of the islands, fantastic experience with the kids. It’s quite cheap to rent a boat berth for the season, then you take the boat out onto dry berth in October. Join Oslo International Hub – sounds perfect for an entrepreneur like you. Contact me directly when you arrive and I would love to meet up. I am also an entrepreneur expat mum with 2 children – although my kids are now teenagers. Thank you so much for your comment, you made my day! It’s very comforting and very helpful too! Your view about locals is interesting. To be honest I understand them, they grew up there, have all their network of friends and family, no real reason to start a deep relationship with someone you know will leave anyway. Here in Zurich it is the same. There are only two locals I had meals with. I’m expecting a lot more from the expat community though and I’m so glad you reached out! Thanks for the tip about the Oslo International Hub. Will check-it out. I will certainly contact you when I arrive, thank you again for offering. There seems to be a lot we can share! For you Jane: I’m on a boat! I sent you an email a few weeks ago. Did you get it? I signed my employment contract today and it’s all thanks to you! super!! Bonne chance! J’ai un bon ami hec qui habite là-bas, je vous mettrai en contact!! Hi Lea, so good to hear from you! How are the USA? It’s true I heard Norwegian is a bit easier, I’ll let you know how I go!